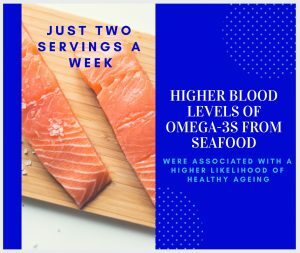 Higher serum levels of serum omega-3 polyunsaturated fatty acids (n-3 PUFAs) are associated with healthy aging in adults, defined as survival without chronic disease, such as cardiovascular disease, cancer, lung disease, or severe chronic kidney disease, a new study suggests. Researchers measured cumulative levels of plasma phospholipid n-3 PUFAs in 2600 older adults at three time points over a 13-year period and found that higher levels of long-chain n-3 PUFAs were associated with an 18% lower chance of unhealthy aging. In particular, n-3 PUFAs from seafood, eicosapentaenoic acid (EPA), docosapentaenoic acid (DPA), and docosahexaenoic acid (DHA) were associated with healthier aging. 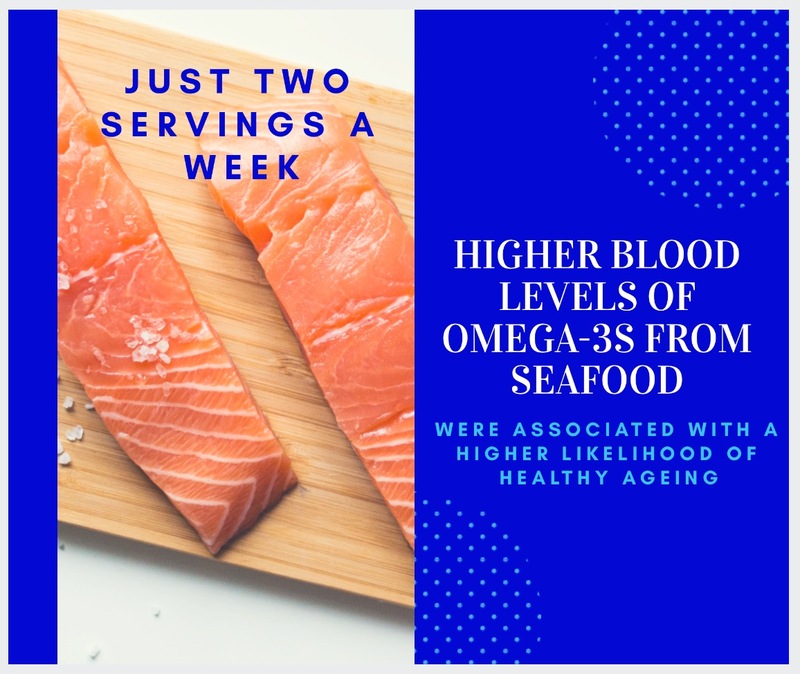 “We found that higher blood levels of omega-3s from seafood were associated with a higher likelihood of healthy aging and also saw that people with the highest blood levels of omega-3s self-reported fish intake of about two servings per week,” lead author Heidi Lai. “This study supports current national guidelines to consume more seafood,” she said. “We’re living longer but are not necessarily in good health, and the quality of life in old age is deteriorating,” Lai said. At Botanica Medica our Naturopaths are well aware of the importance of a good diet and the effect it can have on your life both physically and mentally. They come across lots of interesting studies and are always updating their knowledge. If you would like to make an appointment with one of our Naturopaths call Botanica Medica on 8271-1827 today. They are only to happy to share the knowledge they have gained through their studies and patient outcomes, and get you feeling better. Botanica Medica is located at 97 Glen Osmond Road, Eastwood and appointments are available Monday to Saturday including some after hours. lead author Heidi Lai, PhD, postdoctoral fellow, Friedman School of Nutrition Science and Policy, Tufts University, Boston, told theheart.org | Medscape Cardiology. The study was published online October 17 in BMJ.